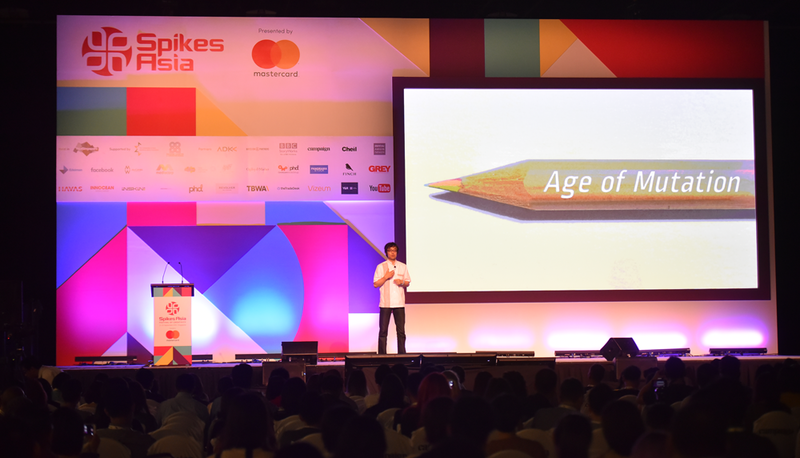 Spikes Asia 2016 came to a close with presentation of the creative awards at the Grand Theatre, Mastercard Theatres in Marina Bay Sands. Well, for the hardy and brave, it did actually continue at Clifford Pier with an “After party”. AdAsia will bring you the results shortly and some photos of the glittering awards night, but for now let’s review the three days of presentations and workshops. There were actually 55 sessions so you would have to be very picky not to have found one that did not offer some inspiration or added to your knowledge. There were quite a few presentations which suggested we needed to be passionate or brave. There was a lot of talk about the importance of creativity which may be driven by a need for more traditional agencies to justify themselves for as many speakers pointed out the changes in our industry are rapid with media and technology pulling our audiences into new experiences. But some agencies are responding by being innovators rather than simply communicators. Hakuhodo has set up Team Beta for just this purpose and this was illustrated in the presentation by Masaru Kitakaze. On the tech side, AI, VR and AR, were explored by Havas, PHD, C2K and Cheil pointing to a future where we spend a lot of time in virtual worlds and lead hedonistic lives run by computers. Insights into China by Chinese creative and people who have gained hard-earned experience in this exciting market were well received by the delegates. SapientNitro’s Raymond Chin and artist and designer, Zhenhan Hao, persuaded us that China could do more than copying and was indeed proving they could not only imitate but build on ideas from the West. René Chen and Katie Ewer from Jones Knowles Ritchie give examples of how taste in China differed and why certain designs and colours worked better in this fascinating and ancient land. It seems social media has become so much part of normal communications strategy, that there was not a presentation at Spikes focused on this. Probably about time, too. With three different presentations going on simultaneously, plus workshops, it would be impossible for any delegate to attend all that was offered at Spikes this year. It was well organised and well attended. 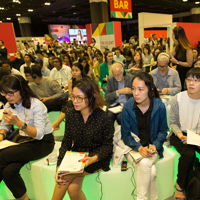 This has become a major event for the advertising industry in Asia and you should try to be there next year.